Do you suffer from ADHD? Does your child? How about your spouse or the other parent in this equation? What are you doing to get help? Have you fully researched ADHD? Do you realize it is a serious disorder and generally creates physical and emotional challenges? If the brain doesn't work, the body doesn't work, and so begins the dramas of one's life. As a special education teacher over many years, I can tell you that we are slowly beginning to understand the behavior patterns, and learning challenges of children - not just today but in past generations. The brain is an electrochemical machine that responds to electrical stimuli for processing and behavior. Sadly, not everyone has balanced brain chemistry, or the ability to get there and maintain control. If there is an innate imbalance that is left untreated - everyone suffers and we have a lost soul who is often too challenged to find answers on their own. Everything is genetic, so a child with ADHD would come from one or more parents who have the same issues, and we are to take this to a psychological and metaphysical perspective, the parents were together to work out their own issues, the relationship a means to that end. It certainly would seem that everything we do is about discovering who we are, how we got that way, and where we are going. With ADHD, the wiring in the child's, or adult's, brain is different therefore school curriculum should be developed to match the needs of each child. Of course we know that unless a child goes to a special school, or private school, that is not going to happen in a mainstream classroom situation. With ADD or ADHD, there are generally emotional problems combined with the learning challenges. Today children are often placed on medication which works for some, no all. The key is to discover exactly what is wrong, how much focus and retention the child has, and what can be expected. This takes hard work and research on the part of parents and educators. Good students in today's world have a partial photographic memory and are much smarter than past generations - because they need to be. 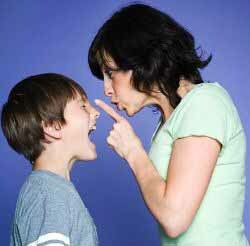 Children with ADHD have additional problems during puberty as they are also dealing with emotions and hormonal changes. An ADHD child at this point, if not on proper medication, could gravitate towards self medication with drinking or drugs. This is further the age when mental illnesses begin to show themselves, peaking at age 19, when they become full blown and the child suffers what I call a mini-breakdown when they simply drop out. As a psychic, and what is called a Medical Intuitive, I can 'enter' the mind and body of someone I am working with and see what is going on. For example, the brain of someone suffering with depression is foggy to me - the person unable to focus and make decisions. It looks like oatmeal to me. Someone with ADHD has a brain that processes too quickly and is always chattering. It is like looking at something that is hyper and never stops, even during dream time. One needs to develop techniques that quite the mind and relax the brain so information, of any kind, can be focussed and processed. Some children actually practice yoga, meditation and similar techniques to quiet the mind and gain balance. Along with this goes proper nutrition and sleep habits. 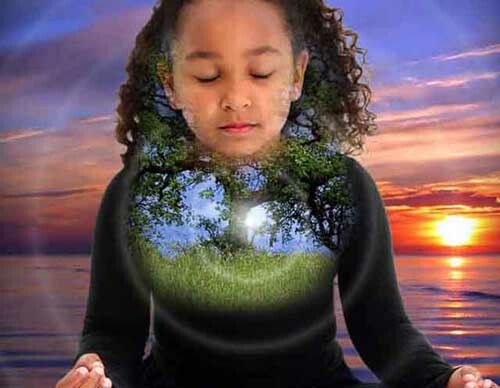 Please do not label these children 'Indigo Children' or use any other metaphysical expression that masks challenges and leads you to believe a child who cannot function has come here with special purpose. There are have been psychically gifted children, without labels - as well as those unable to function in a learning situation. In the twenty-first century, I have read so called 'Indigo Children' who are now in their twenties - as well as their often overprotective parents. These young adults are now facing the true nature of the challenges. Some are getting help while others stay home, unable to work, and play video games all day, saying they want to write a book, or something that reflects their inner turmoil. Life is about learning and experience through the patterns that create this reality. In the article below, as a teacher and therapist II would say the ratio is much higher - more like 50% in varying degrees. Just look at to the parents of these chidden to find your cause ... then seek out solutions. A government survey says 1 in 10 U.S. children has ADHD, a sizable increase from a few years earlier that researchers think might be explained by growing awareness and better screening. ADHD, or attention deficit hyperactivity disorder, makes it hard for kids to pay attention and control impulsive behavior. It's often treated with drugs, behavioral therapy, or both. The new study found that about two-thirds of the children who have ADHD are on medication. The estimate comes from a survey released Wednesday that found an increase in ADHD of about 22 percent from 2003 to the most recent survey in 2007-08. The Centers for Disease Control and Prevention interviewed parents of children ages 4 through 17 in both studies. In the latest survey, 9.5 percent said a doctor or health care provider had told them their child had ADHD. The earlier study found that fewer than 8 percent of kids had been diagnosed with it. Researchers calculate about 5.4 million kids have been diagnosed with ADHD, which suggests that about 1 million more children have the disorder than a few years earlier. Scientists don't have clear answers about why there was such a significant increase. Study lead author Susanna Visser of the CDC suggests greater awareness and stepped-up screening efforts as part of the explanation. One expert found it hard to believe that so many kids might have ADHD. "It sounds a little high," said Howard Abikoff, a psychologist who is director of the Institute for Attention Deficit Hyperactivity and Behavior Disorders at New York University's Child Study Center. Other studies have suggested more like 5 percent of kids have ADHD, and there are no known biological reasons for it to be on a recent increase, he added. Abikoff noted the CDC study is based on parents saying that a health care provider told them their child had ADHD, but it's not known who the health-care provider was or how thorough the assessment was. ADHD diagnosis is a matter of expert opinion. There's no blood test or brain-imaging exam for the condition. Sometimes reading disabilities or other problems in the classroom cause a teacher or others to mistakenly think a child has ADHD, he said. The CDC study noted an increase in diagnoses was seen in kids of all races and family income levels, and across all regions of the country except the West. The survey covered 73,000 children. Of those who had ADHD at the time of the latest survey, about half had a mild form.